Enforced bed rest occasioned by surgery for an inguinal hernia provided me the rare opportunity to watch four continuous days of the BBC’s coverage of the Commonwealth Games in India beginning with the enthralling opening ceremony that featured a colourful portrayal of Indian culture. Just a few days before the opening, Western media – and especially the media in Australia – cast serious doubt on whether the games would be held at all. Every incident, however minor, was headlined as an indication of catastrophe. The Australian media was quickly followed in this frenzy by sections of the British and Canadian media, often with the question rather than the answer becoming the headline. Thus, a negative question put to the Chairman of the Commonwealth Games Federation, Mike Fennell, by a BBC interviewer became the story’s headline with no regard for the answer which completely dismissed the question. Further, after reports that the Athletic Village was uninhabitable and unhygienic, sections of the media again and again asked athletes if they were dissatisfied with conditions. Very positive answers that the conditions were fine and that the athletes were perfectly satisfied did not stop the question from being repeatedly asked. The Western media were also parsimonious in their acknowledgement of the scale of the spectacle and entertainment success of the opening ceremony. Rather, they seized upon the news that a section of the track and field circuit had been damaged during the ceremony. In their view, this meant the cancellation of the track and field events and a complete waste of the years of training that the athletes had invested. No one ate humble pie when, 15 hours later, the Indian organisers had the track ready for the events to be held, although a few reporters did express astonishment at the Indian accomplishment. Well what accounts for the attitude of the Western media toward these games in India? Janet Street-Porter, a columnist for the British Independent on Sunday newspaper, reckons that “the stories of doom and gloom in our press and much of the whingeing is just racism under another name”. Mike Hume, who writes for The Australian, attributed the media attitude (and, if truth be told, the attitude of many others in the West) to the rise of India, alongside China as two super-power economies well on their way to dwarfing many of the countries from which the unfavourable media coverage came. As he put it: “It is against that background that so many appear to have seized upon the chance offered by the problems in Delhi to tut-tut about the natives once more, recycling old prejudices in the new language of health, safety, anti-terrorism and the environment”. He continued: “There are echoes here of the way many in the West sought to turn China-bashing into a new sport at the 2008 Beijing Olympics. They used those Games as a podium to try to take the world's new economic superpower down a peg or two by lecturing the Chinese over pollution, population, human rights and much else. Now the Western cynics have turned their attention to Delhi 2010”. Hume also points out that: “There seems little doubt that the preparations in Delhi have been marred by a familiar combination of political infighting, incompetence and corruption. This is the sort of thing that tends to accompany the construction of almost all the great white elephants of sporting stadiums. Even the London 2012 Olympic Games, the facilities for which are now being held up as an example of how to get things done the right way, have magically trebled in price to well over $15bn since before construction began. In a developing nation, these problems are always likely to be more exaggerated and exposed”. The Western media has also used the opportunity to question whether the Commonwealth Games are worth anything. As many of them have written-off the Commonwealth as a relic of the British Empire, so too have they attempted to rubbish the Commonwealth Games. Thankfully, their view is not shared in the Commonwealth, not even by the authorities in their own countries. Hence, the 71 countries and territories of the Commonwealth sent teams of varying sizes to the games, and by all accounts – and their own statements – the athletes are enjoying the games. The only unpleasantness occurred in the women’s 100 metre final when a protest by England led to the disqualification of the Australian winner. Lying in bed, coping with the pain of recent surgery and conscious of my immobility, I developed a deeper respect for the training, sacrifice and hard work of all the athletes who competed in the games – and I knew the Commonwealth Games continue to be very valuable. The games have given these young people an opportunity to showcase their skills and to expand their capacity through competition at world standard. They have all tested themselves and are better for it. As I write this commentary immobile in bed with my lap top on my chest, Caribbean countries have won 5 medals, one of them silver by 31-year old, Natasha Mayers, from St Vincent and another a brilliant gold by Lerone Clarke of Jamaica in the 100 metres. Trinidad and Tobago also has won two bronze medals. I am sure there will be more for these small Caribbean contingents who are in India because they place value on the experience and knowledge they gain from the Commonwealth Games. I am greatly looking forward to the closing ceremony of the games which I suspect will be even more spectacular and vibrant than the opening ceremony. Those who predicted the demise of the games in India even before the event started have been proven wrong. 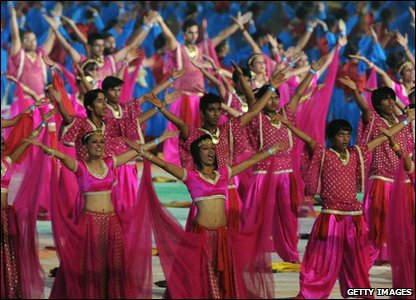 India may have to inquire into the preparations for the games at the end of it, but it has done a great job. Like China, it will continue to grow and to take a place in the world community that helps to balance at least economic power. That reality will not be affected by the kind of prejudice that has been displayed toward India’s hosting of the Commonwealth Games.